The Iraqi Center for Supporting Freedom of Speech rejects the threats for journalists and correspondents of satellite channel by election candidates because of their journalistic work, and the last one was Al- Fatih Alliance", which threatened a reporter for a satellite channel in Karbala to sue if they continue to prepare press articles related to the actions of its candidates. While the Iraqi Center condemns the repeated repressive approach, the Iraqi Center calls on leaders of political alliances to educate their candidates for parliamentary elections to respect the work of the media. 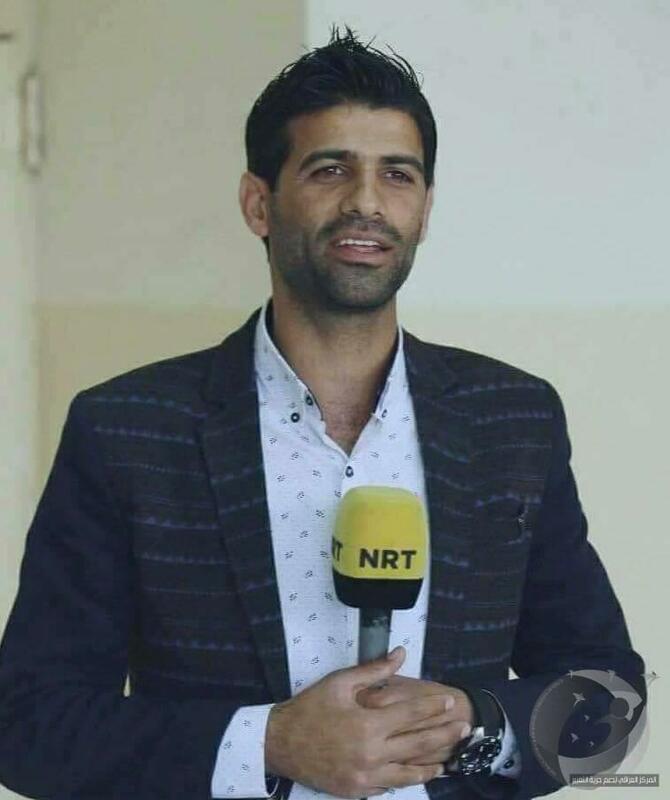 "the reporter of ( Arabic NRT ) in Karbala province Haydar Hadi told the Iraqi Center that he received a threat from Ayed al-Ghanmi, one of the candidates of the Fatih alliance, with the establishment of (4) lawsuits because of a report broadcasted backdrop on a Channel . "This threat is the third this week," Hadi said, adding that "the threats that preceded it were harassment by the Karbala police headquarters, where after two days of harassment was threatened by unidentified gunmen on the street." The Iraqi Center pledges to provide a legal defense team to NRT Arabiya correspondent in Karbala Haydar Hadi.